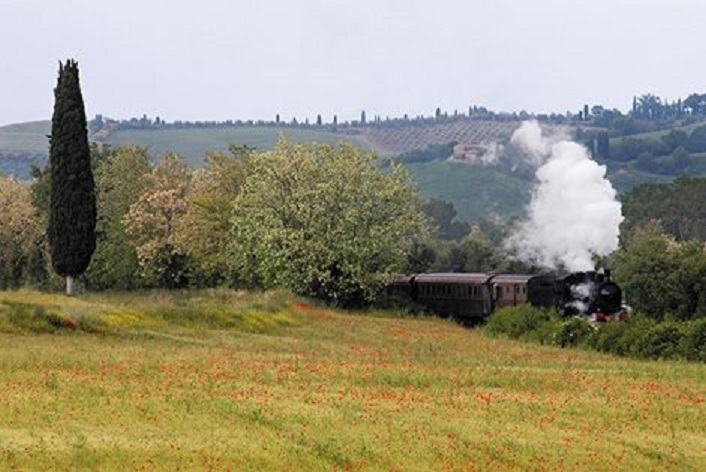 With Spring back another old Tuscan favourite is too: Treno Natura, the Nature Train, an old steam locomotive puffing through Siena’s most beautiful landscapes, the lunar Crete Senesi, the park of the Val d’Orcia, the Brunello vineyards and Mount Amiata. Each trip is an appointment with either an exhibition, a fair, a market, a festival or a guided tour generally stopping at other places along the tracks. Leaving Siena, this train brings back memories to the elderly and amuses both children and their parents. 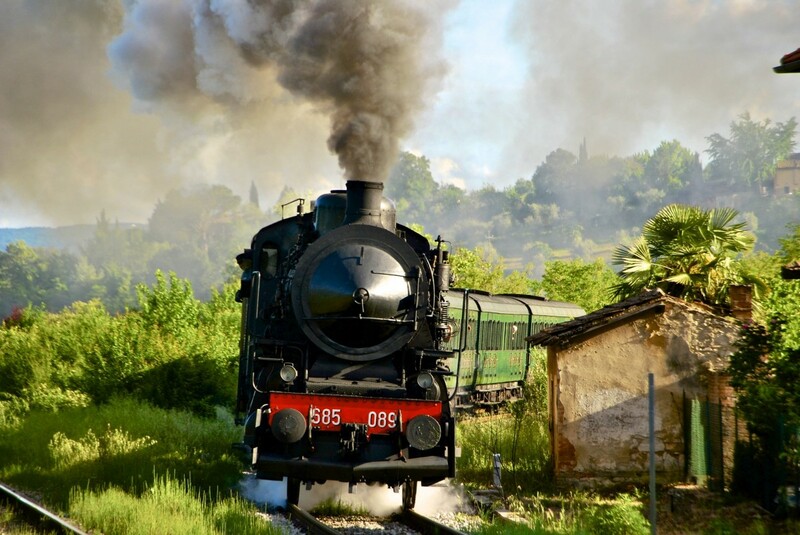 The first train left Sunday, March 22nd, for the Marzuolo Truffle fair in San Giovanni d’Asso where visitors also visited the castle and the Truffle Museum as well as enjoying tastings at the many stalls along the way. 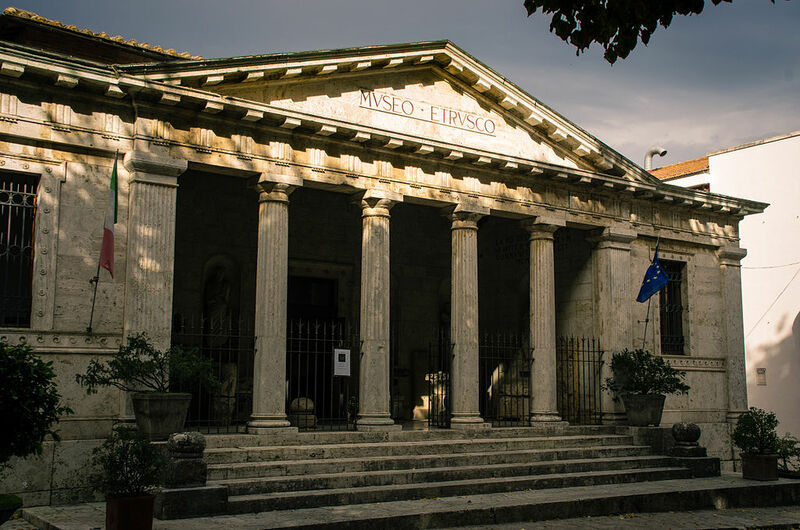 The next train will be leaving on Easter Monday, April 6th, and stops at Asciano, San Giovanni d’Asso and Monte Antico, before reaching Buonconvento which is hosting its regional Antiques fair. 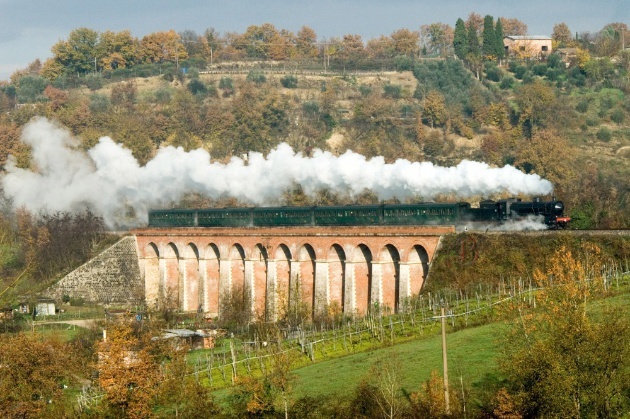 Another appointment is on April 25th with the Spring Train for Castiglion d’Orcia and its beautiful town centre and fortress, with visits on the way and back to Monte Antico, Mount Amiata, Torrenieri and Asciano. 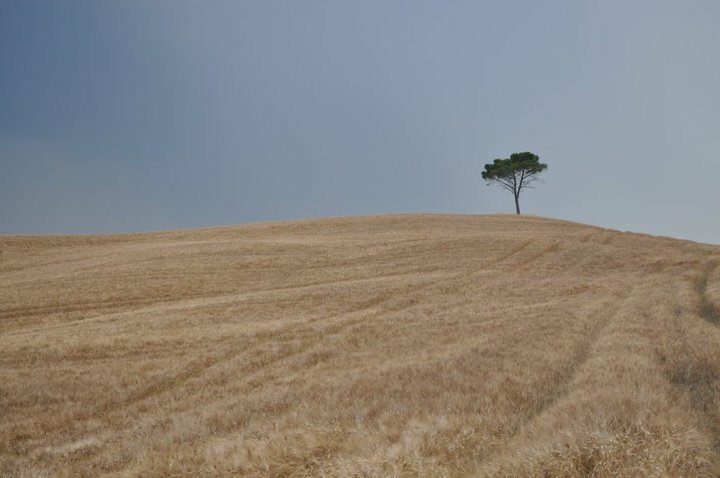 May the 1st is the turn of Sant’Angelo Cinigiano celebrating its May Song with the local folk groups and musicians, while on the 10th the train travels to Asciano and its Crete Senesi organic market where visitors will find delicious pecorino cheese and many other local products. 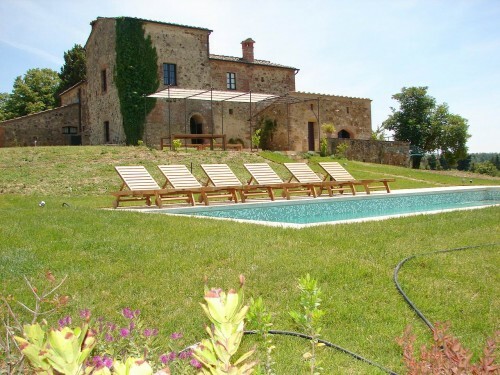 On May 17th the trip to Torrenieri offers various possibilities such as trekking activities, a visit to Montalcino or a walk along the Via Francigena and a stopover at the organic food stalls in the village. 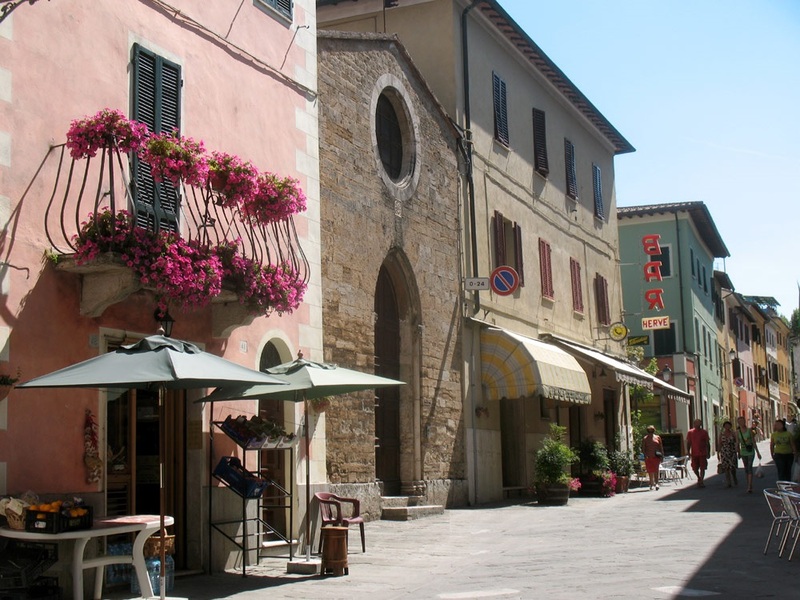 The last Spring trip is on May 31st with the journey to discover the Etruscan town of Lars Porsenna, Chiusi, with guided tours to the sites and museum as well as a trip to the town centre and its market. Planning to visit Siena and its surroundings? Take a look here at our wide range of accommodations in the area. Questa voce è stata pubblicata in Culture and accommodations in Tuscany, Fairs and markets in Tuscany, Tuscan food and wine, Tuscan lifestyle, Tuscan towns and cities e contrassegnata con Asciano, Brunello wine, Buonconvento, Crete Senesi, Montalcino, Monte Amiata, San Giovanni d'Asso, Siena, Treno Natura, Val d'Orcia. Contrassegna il permalink.